So... These are of MY top 5 favorite minecraft plugins. Note: I have a creative server so most of these will pertain to creative plugins. #1 WorldEdit-My favorite plugin, without it we would be lost. Spending hours/years placing blocks. Great for creative servers and makes block placing easy as well as having some simple brush commands. 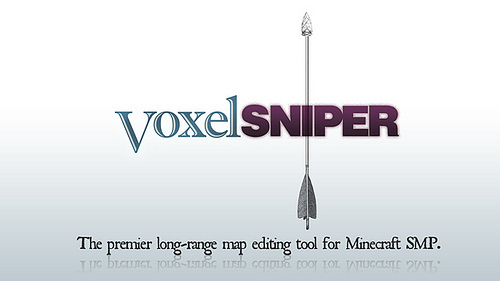 #3 VoxelSniper-I use this regularly, it is the BEST plugin for terrain generation and love the tutorials being done on it. Very complicated but fun to play with. #4 Hawkeye-Great for catching and banning griefers, shows what has been placed in an area or who placed and who broke it etc... Useful for creative servers as well. #6 Towny- Great for faction servers you can manage whole areas and even tax people! #7 MultiVerse- The most useful plugin if you want to have multiple worlds with a customizable config! 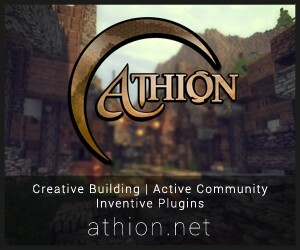 #8 Iconomy- One of the most notorious faction/smp server plugins. You can buy and sell items with ease. #9 NoCheat- Disables flymod, spamming, xray vision, and other things. Also useful for the pvp/smp/faction servers! #10 Punishmental- My favorite plugin for having fun, you can do funny things to your friends like trap them in boxes and the other 40+ commands you can use on them. Had to fix spelling of notorious thankya jammey! First thought : Oh you are putting good plugins!!! It's PermissionsEx, why do you call it Permissions? It's not like there is only 1 permission plugin. bPermissions is what I use. There's also zPermissions, GroupManager, PermissionsBukkit, DroxPerms... Anyhow you shouldn't call it "Permissions". Still preffer WatchDog instead of hawkeye, hawkeye takes a lot of memory tbh, Watchdog is like BigBrother, just need to get used to it. Nice list but where is essentials? try epicglass. super fun, simple and players love it. Voxel sniper for the win. i am waiting for an ore gen. brush, then it will be the BEST terraforming tool. I agree with everything bu Hawkeye. LogBlock is mush more efficient and stable, I have seen so many servers who keep crashing due to hawkeye. Thank's man. Great to see people still keeping an eye out for great plugins! He already did ask you something, no? The Death of Minecraft starts with The Monetary "Comissions"
Leaving MC, What a great 2 year journey.